May my prayer be set before you like incense; may the lifting up of my hands be like the evening sacrifice. Frankincense is used in many Christian churches, including the Eastern Orthodox, Oriental Orthodox and Catholic churches. Also called olibanum, it is the resin of the Boswellia carterii tree. It was used in rituals where herbs were burned, and one of its common names was incense. ... In the process of release, frankincense brought strength and protection. It was used internally in preparations addressing weakness, both physical and spiritual. 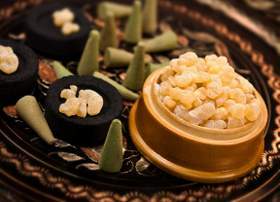 You can also enhance the atmosphere of your sacred altar by burning frankincense resin. Medicinally, frankincense stimulates the airways, helping to relieve asthma, bronchitis, colds and flus. It also believed to help alleviate anxiety and depression. You can also chew frankincense resin for oral health. This is good quality myrrh from Somalia & Yemen. Big pure grains. Myrrh can be applied directly to the mouth for soreness and swelling, inflamed gums (gingivitis), loose teeth, canker sores, bad breath, and chapped lips. It is also used topically for hemorrhoids, bedsores, wounds, abrasions, and boils. In foods and beverages, myrrh is used as a flavoring component. Since the early days of Christianity, Biblical scholars and theologians have offered varying interpretations of the meaning and significance of the gold, frankincense and myrrh that the magi presented to Jesus, according to the Gospel of Matthew (2:11). These valuable items were standard gifts to honor a king or deity in the ancient world: gold as a precious metal, frankincense as perfume or incense, and myrrh as anointing oil. 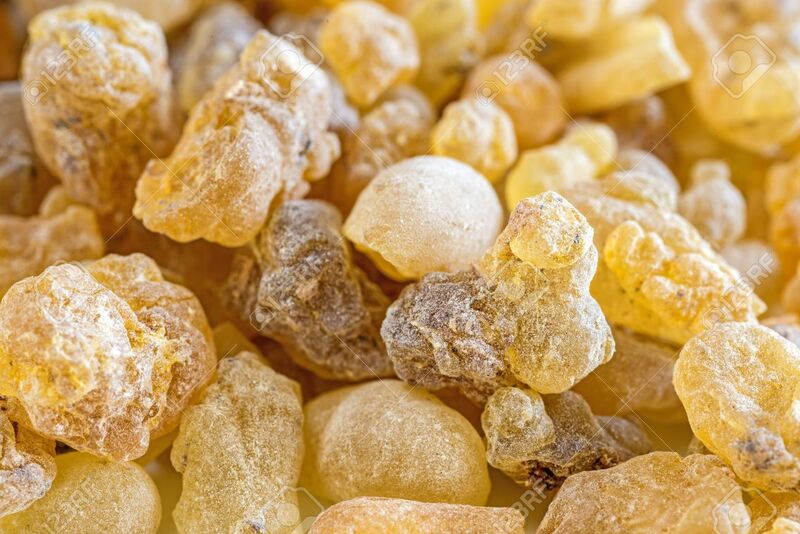 Frankincense is the dried sap of trees in the Boswellia genus, particularly Boswellia sacra. These trees grow in Oman, Yemen and the Horn of Africa, including Somalia and Ethiopia. When dried, the sap is burned as incense and thought to have several medicinal properties. 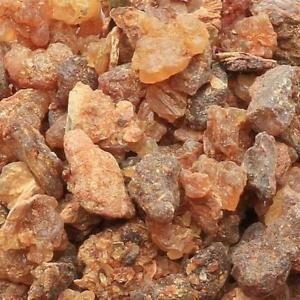 Pure Omani Hojari lubaan Hojary Frankincense incense resin from Dhofar region Of Oman.